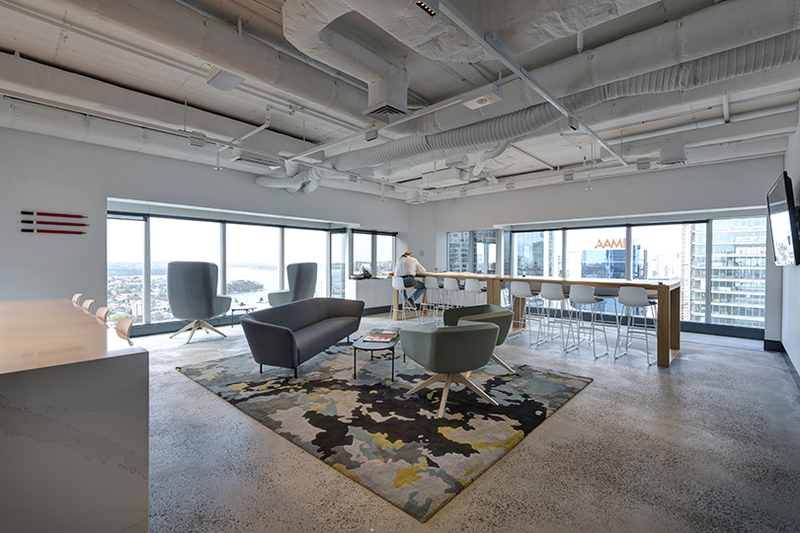 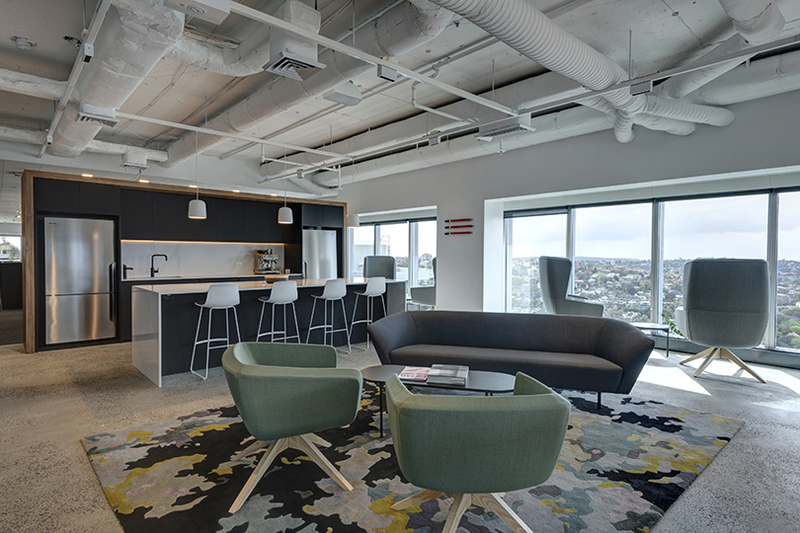 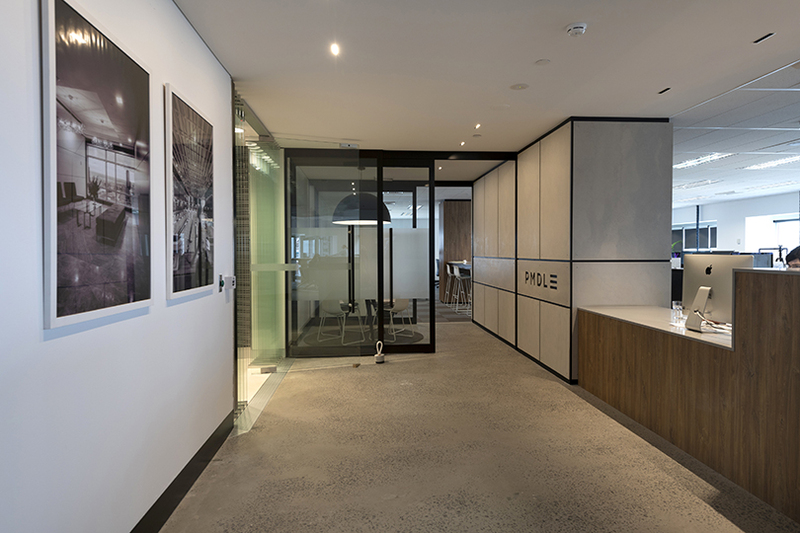 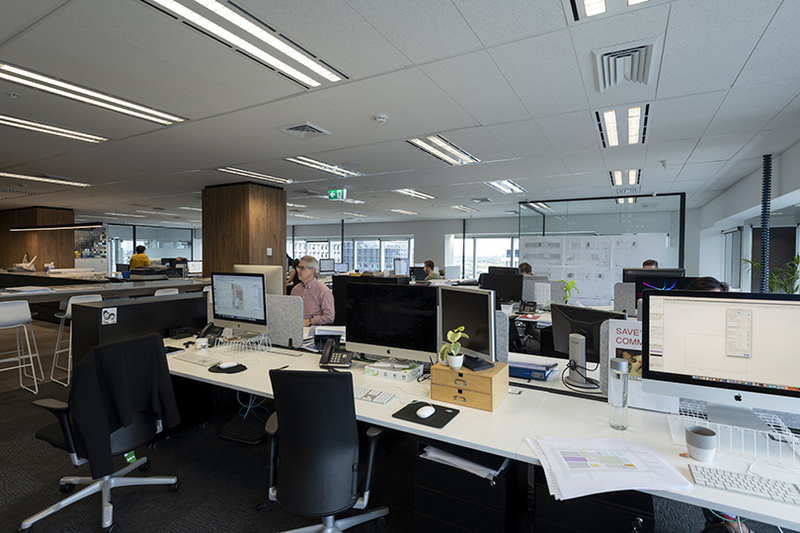 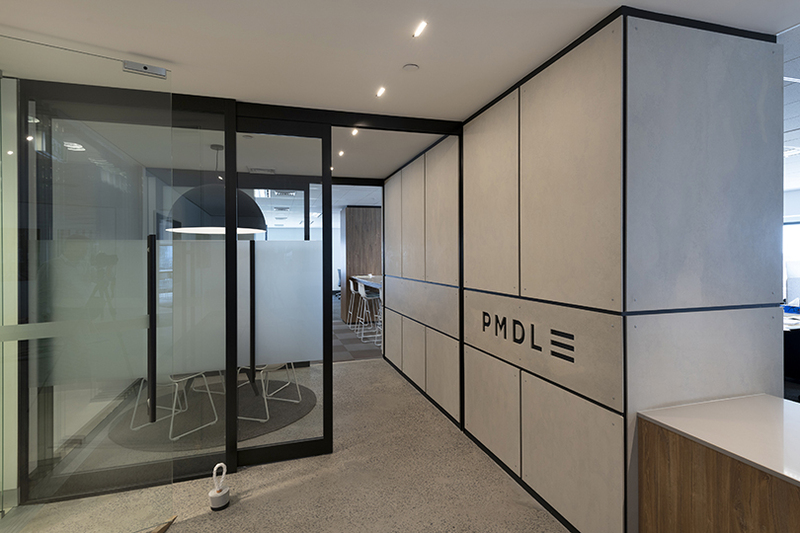 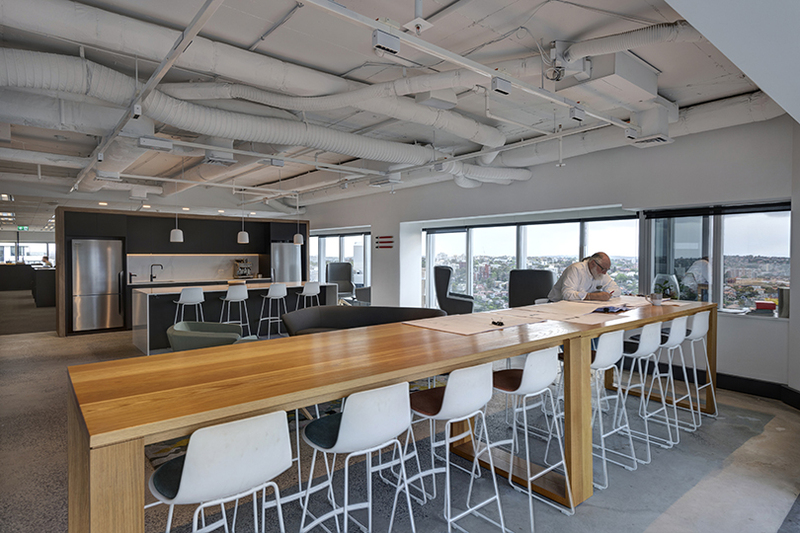 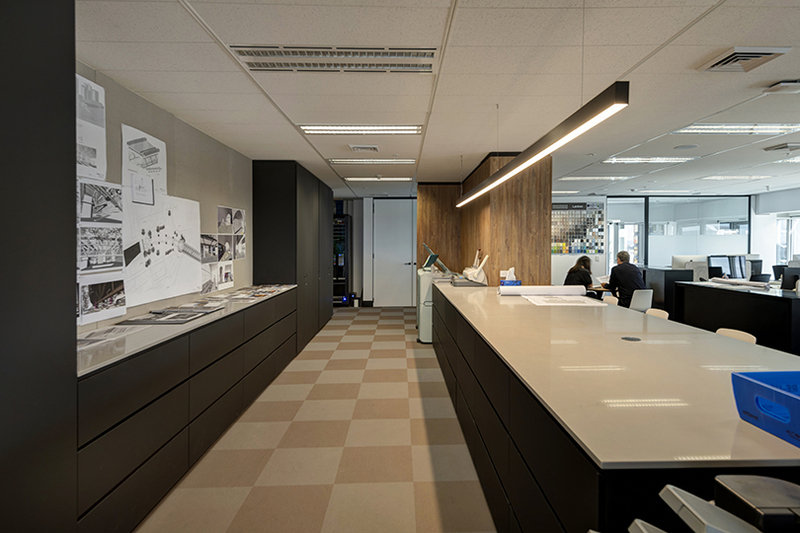 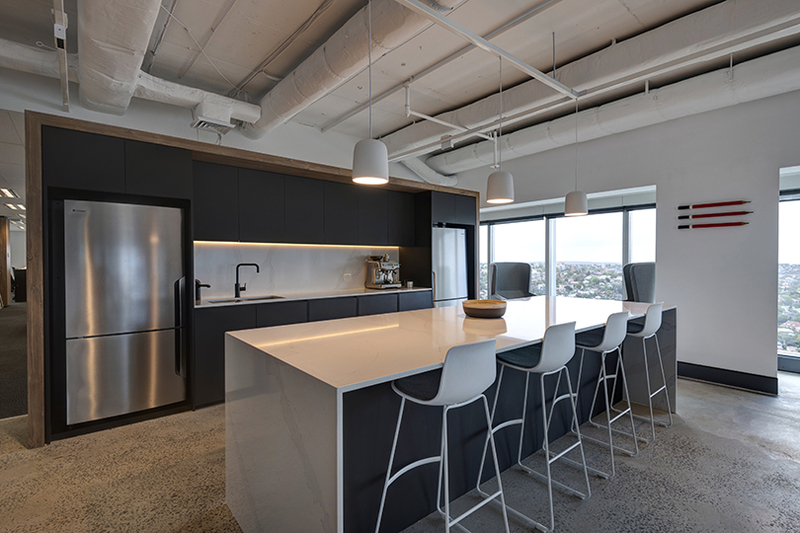 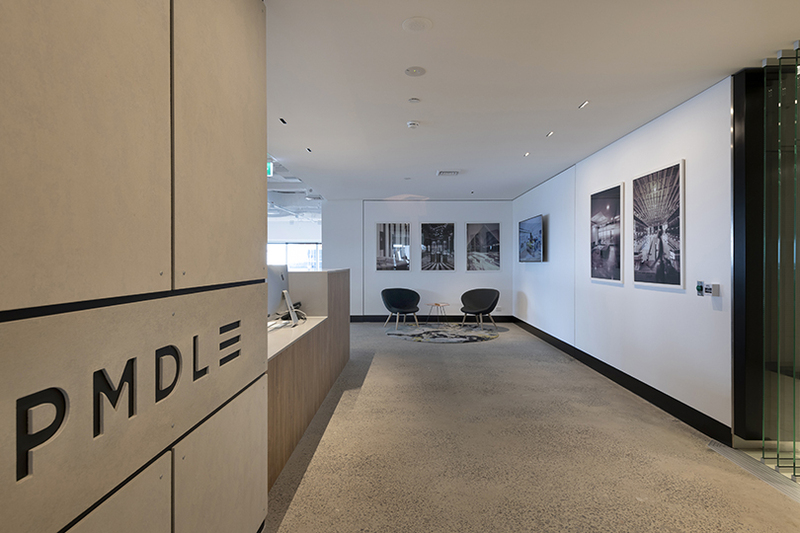 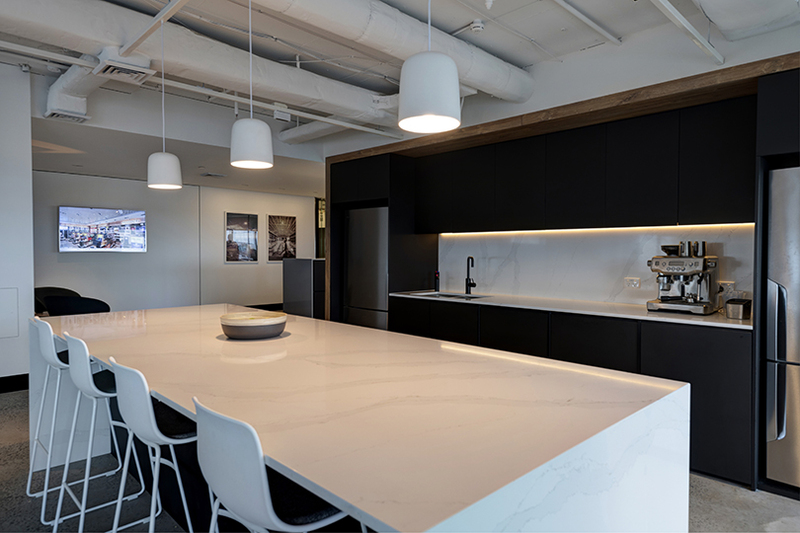 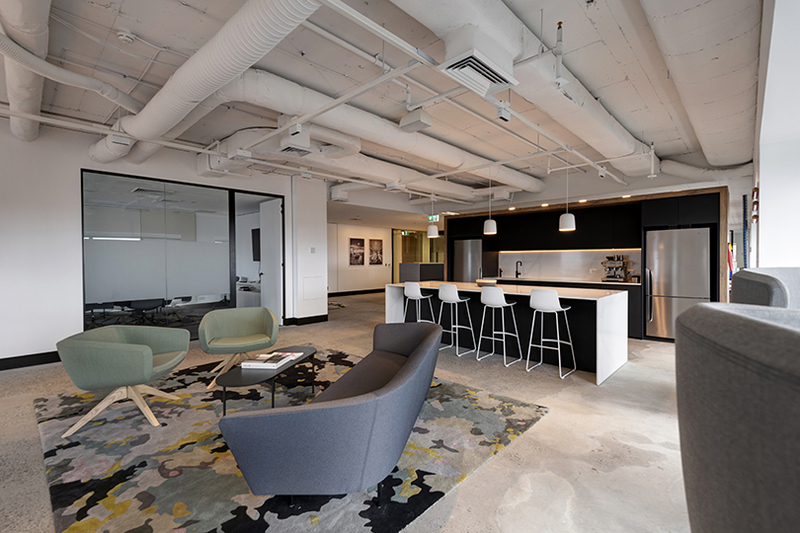 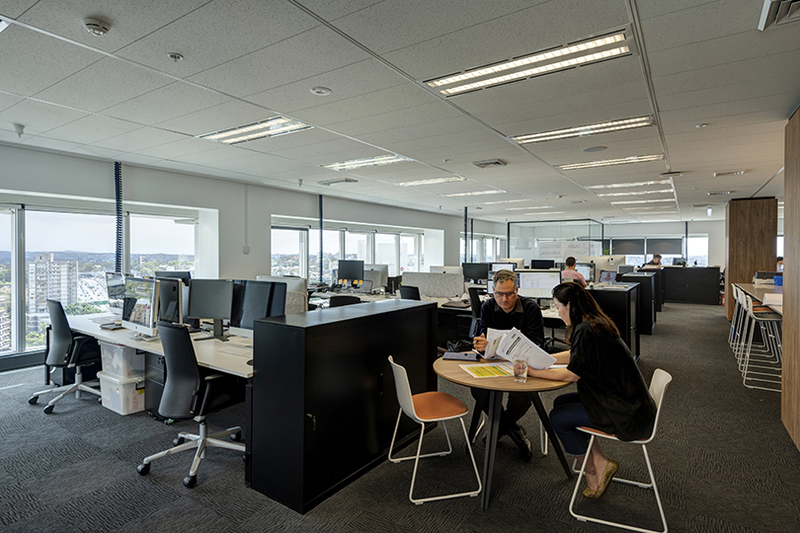 Grindley Interiors were engaged under a construct only contract to complete the internal fitout of the existing commercial space in Walker Street, North Sydney, to create PMDL’s new Sydney Studio. 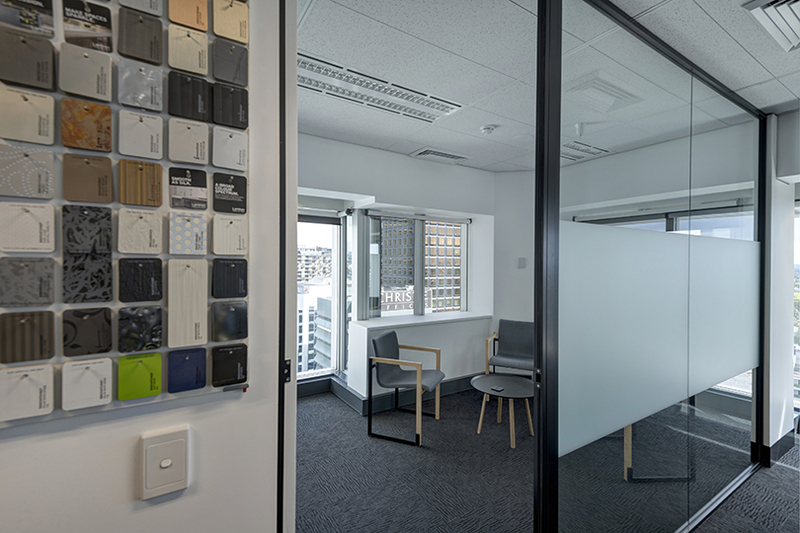 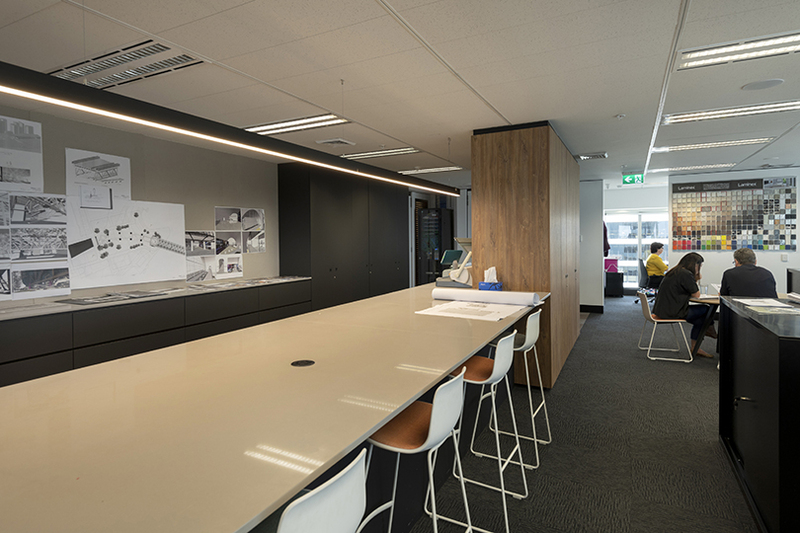 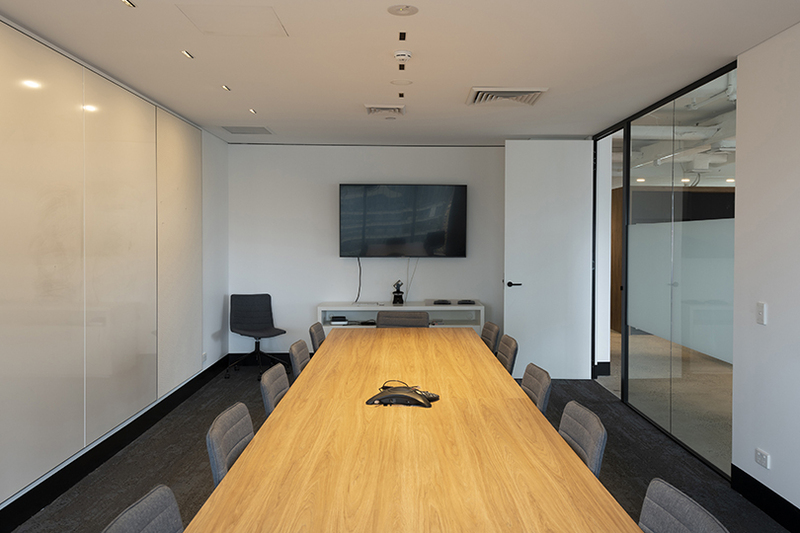 The works involved joinery items to create a new kitchen, reception desk, communal work area and accounts office nook, along with internal plasterboard and glazed partitions to create a boardroom, open plan workstations, meeting room and quiet room for privacy. 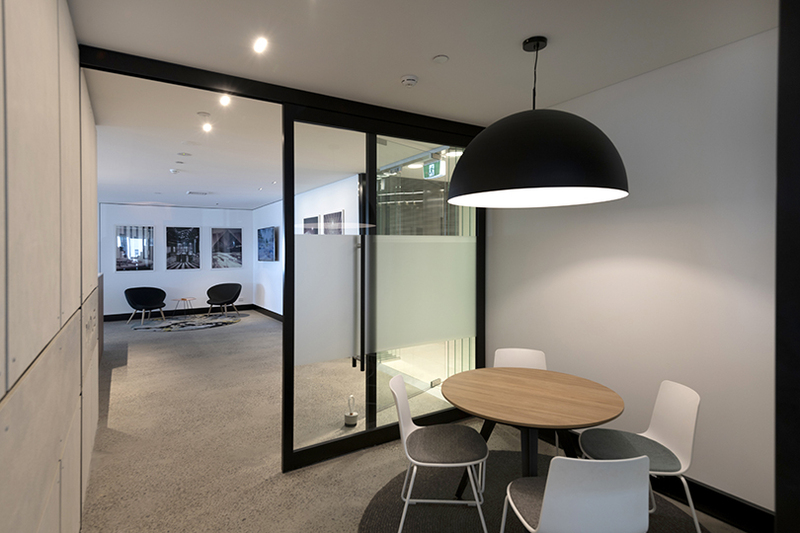 New communications and audio visual were installed to integrate the space with sound and data. 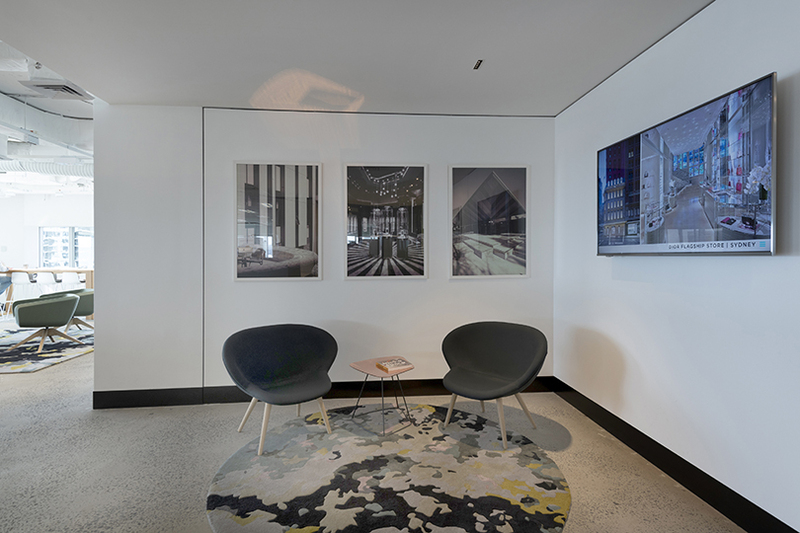 Updated light fittings, new floor coverings and paint finished the sophisticated space with a picturesque view over North Sydney.